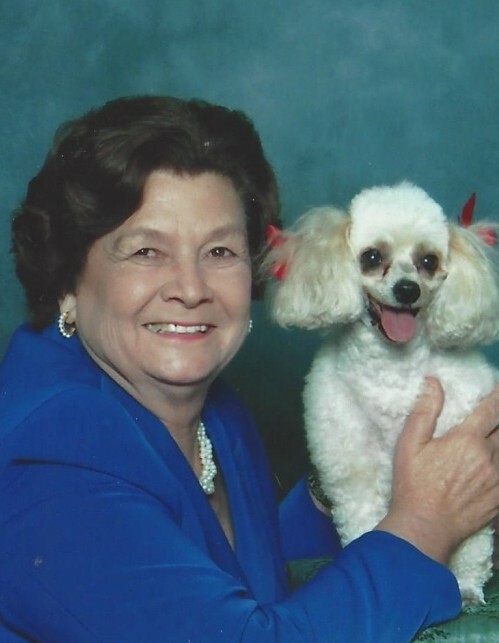 Shirley Little Galloway, 83, of Wilson, passed away August 14, 2018 surrounded by her family at Wilson Medical Center. Funeral, Saturday, 2:00 PM, Wilson Memorial Service, followed by visitation. Shirley was born in Wilson County to Lee and Pearl Little. She was preceded in death by her husband Irvin E. Galloway and her siblings, J.C. Little, Chester “Bud” Little, Gladys Rasberry and Erick “Donnie” Little. Shirley is survived by siblings, James “Mickey” Little (Thyra) and Barbara Douglas (Harvey); her children, Ronald Galloway (Armita) of Greensboro and Stuart Galloway (Ellie) of Gloucester, VA, Darlene Strayer (Keith) of Newport News, VA, and Shirlene Pregent of Newport News, VA. She is also survived by her 10 grandchildren and 14 great-grandchildren. Shirley married Irvin Galloway in 1952 and through the Air Force they lived in Georgia, Virginia, Arizona, Okinawa, Texas and New Jersey, finally settling in Hampton, VA.
She worked all her life and her greatest joy came from helping others. For the last several years, this caring led her to share her passion of cooking by providing loving meals to the Community Soup Kitchen of Wilson. She was also devoted to her church family at Forest Hills Baptist Church where she enjoyed fellowship with Prime Timers. In her spirit of giving, Shirley agreed to be an organ donor. In lieu of flowers, memorials are suggested to Community Soup Kitchen. PO Box 2091, Wilson, NC 27894.